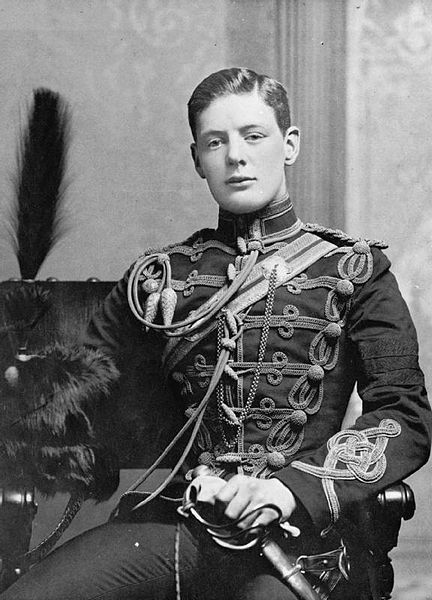 Winston Churchill, or more formally known as, Sir Winston Leonard Spencer-Churchill, KG, OM, CH, TD, DL, FRS, Hon. RA was born on November 30th, 1874 and passed away on January 24th, 1965. Churchill served in numerous military and political levels of leadership for the United Kingdom; however, he is best known for his leadership as the country’s Prime Minister during World War 2 (1940-1945). 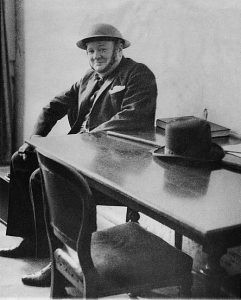 During his time in service of the Queen, Churchill was also famous for his numerous quotes that remain interesting in the modern day. 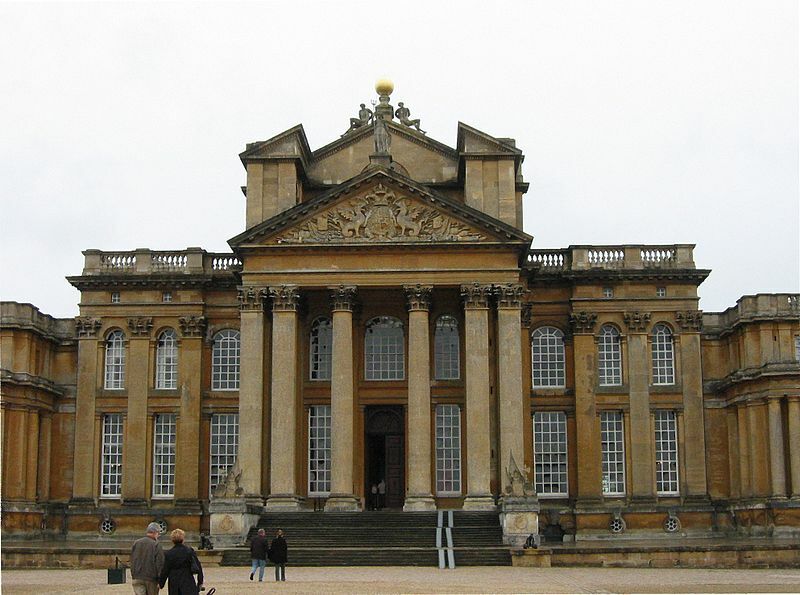 Sir Winston Churchill was also a highly noted statesman, orator, historian, writer, and artist. 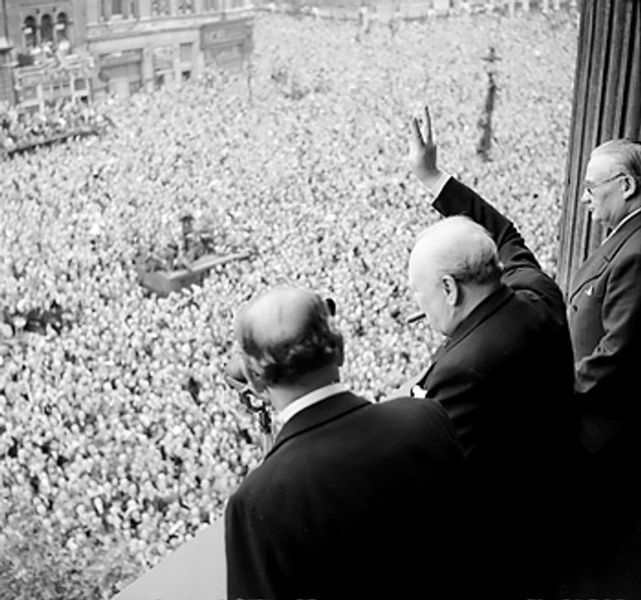 He served a second term as Prime Minister during the Cold War from 1951-1955 and is the only U.K. P.M. to win the Nobel Prize in Literature and was the first to be made an Honorary Citizen of the United States. The following includes a number of the famous Winston Churchill quotes (once we get past some of Winston Churchill facts worthy of mention). If you have any favorites not listed, please leave them in the comments section of the article. Artwork: Ightham Moat, Lullenden Manor, The Pont du Gard, and more. I remember, when I was a child, being taken to the celebrated Barnum's circus, which contained an exhibition of freaks and monstrosities. But the exhibit on the programme which I most desired to see was the one described as "The Boneless Wonder." My parents judged that that spectacle would be too revolting and demoralising for my youthful eyes, and I have waited 50 years to see the boneless wonder sitting on the Treasury Bench. Reference: A jibe at Prime Minister ( and First Lord of the Treasury ) Ramsay MacDonald during a speech in the House of Commons, January 28, 1931 "Trade Disputes and Trade Unions (Amendment) Bill". Reference: Lecture at Cleveland, Ohio (February 3, 1932), reported in Robert Rhodes James, ed., Winston S. Churchill: His Complete Speeches, 1897–1963 (1974), vol. 5, p. 5130; referring to the theory that over-production caused the Depression. We know that he has, more than any other man, the gift of compressing the largest number of words into the into the smallest amount of thought. Reference: A jibe directed at Ramsay MacDonald, during a speech in the House of Commons, March 23, 1933 "European Situation". 2nd Lieutenant Winston Churchill of the 4th Queen's Own Hussars in 1895. Anyone can see what the position is. The Government simply cannot make up their mind, or they cannot get the Prime Minister to make up his mind. So they go on in strange paradox, decided only to be undecided, resolved to be irresolute, adamant for drift, solid for fluidity, all powerful to be impotent. So we go on preparing more months and years – precious, perhaps vital to the greatness of Britian – for the locusts to eat. Reference: Speech in the House of Commons, November 12, 1936 "Debate on the Address", criticizing the Government of Stanley Baldwin for its conciliatory stance toward Hitler. Reference: Speech in the House of Commons, November 12, 1936 "Debate on the Address"
Photographer: Horton (Capt)War Office official photographer Collection Title: WAR OFFICE SECOND WORLD WAR OFFICIAL COLLECTION Collection No. 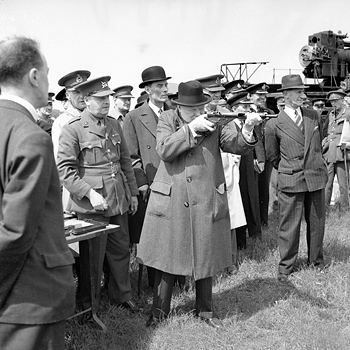 : 4700-37 Description: WINSTON CHURCHILL AS PRIME MINISTER 1940-45 Winston Churchill takes aim with a Sten gun during a visit to the Royal Artillery experimental station at Shoeburyness in Essex, 13 June 1941. Note: the man in a pin-striped suit on the right of Churchill is Walter Thompson, Churchill's bodyguard. The essence and foundation of House of Commons debating is formal conversation. The set speech, the harangue addressed to constituents, or to the wider public out of doors, has never succeeded much in our small wisely-built chamber. To do any good you have got to get down to grips with the subject and in human touch with the audience. For five years I have talked to the House on these matters – not with very great success. I have watched this famous island descending incontinently, fecklessly, the stairway which leads to a dark gulf. 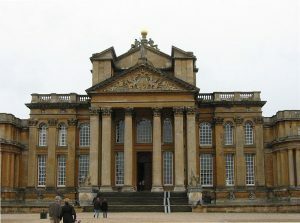 It is a fine broad stairway at the beginning, but after a bit the carpet ends. A little farther on there are only flagstones, and a little farther on still these break beneath your feet. [ ... ] Look back upon the last five years – since, that is to say, Germany began to rearm in earnest and openly to seek revenge ... historians a thousand years hence will still be baffled by the mystery of our affairs. They will never understand how it was that a victorious nation, with everything in hand, suffered themselves to be brought low, and to cast away all that they had gained by measureless sacrifice and absolute victory – gone with the wind! Now the victors are the vanquished, and those who threw down their arms in the field and sued for an armistice are striding on to world mastery. That is the position – that is the terrible transformation that has taken place bit by bit. Reference: Speech in the House of Commons (24 March 1938) "Foreign Affairs and Rearmament", 12 days after the Anschluss (the Nazi annexation of Austria). [O]ur loyal, brave people ... should know the truth. ... they should know that we have sustained a defeat without a war, ... and that the terrible words have for the time being been pronounced against the Western democracies; ‘Thou art weighed in the balance and found wanting.’ And do not suppose that this is the end. This is only the beginning of the reckoning. This is only the first sip, the first foretaste of a bitter cup which will be proferred to us year by year unless by a supreme recovery of moral health and martial vigour, we arise again and take our stand for freedom as in the olden time. Reference: Speech in the House of Commons (5 October 1938) "Policy of His Majesty’s Government", a week after the announcement of the Munich Accords. Reference: BBC broadcast (“The Russian Enigma”), London, October 1, 1939 (partial text). I would say to the House, as I said to those who have joined this Government: 'I have nothing to offer but blood, toil, tears, and sweat.' We have before us an ordeal of the most grievous kind. We have before us many, many long months of struggle and of suffering. You ask, what is our policy? I will say: It is to wage war, by sea, land and air, with all our might and with all the strength that God can give us: to wage war against a monstrous tyranny, never surpassed in the dark, lamentable catalogue of human crime. That is our policy. You ask, what is our aim? I can answer in one word: It is victory, victory at all costs, victory in spite of all terror, victory, however long and hard the road may be; for without victory, there is no survival. Reference: Speech in the House of Commons, after taking office as Prime Minister (13 May 1940) This has often been misquoted in the form: "I have nothing to offer but blood, sweat and tears ..."
Side by side ... the British and French peoples have advanced to rescue ... mankind from the foulest and most soul-destroying tyranny which has ever darkened and stained the pages of history. Behind them ... gather a group of shattered States and bludgeoned races: the Czechs, the Poles, the Norwegians, the Danes, the Dutch, the Belgians -- upon all of whom the long night of barbarism will descend, unbroken even by a star of hope, unless we conquer, as conquer we must; as conquer we shall. 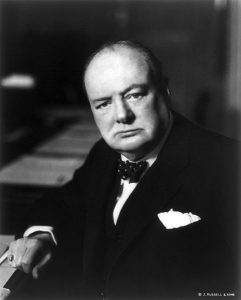 Reference: Speech in the House of Commons (4 June 1940); It has been noted that the most famous passage, beginning "We shall fight on the beaches ..." and ending "... we shall never surrender," consists entirely of words derived from Old English (Anglo-Saxon), except for the word "surrender" — which is derived from Old French. Bearing ourselves humbly before God ... we await undismayed the impending assault ... be the ordeal sharp or long, or both, we shall seek no terms, we shall tolerate no parlay; we may show mercy – we shall ask for none. Reference: BBC Broadcast, London, July 14, 1940 "War of the Unknown Warriors". Reference: Speech in the House of Commons, June 18, 1940 "War Situation". Reference: Speech in the House of Commons, also known as "The Few", made on 20 August 1940. 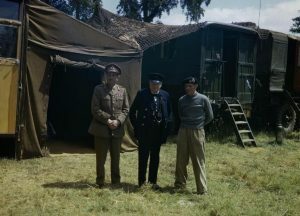 However Churchill first made his comment, "Never in the field of human conflict was so much owed by so many to so few" to General Hastings Ismay as they got into their car to leave RAF Uxbridge on 16 August 1940 after monitoring the battle from the Operations Room. 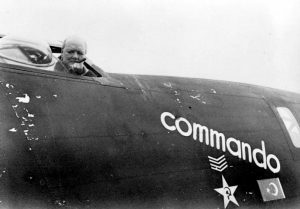 Churchill repeated the quote in a speech to Parliament four days later complimenting the pilots in the Royal Air Force during the Battle of Britain. The speech in the House of Commons is often incorrectly cited as the origin of the popular phrase "never was so much owed by so many to so few"
Goodnight then: sleep to gather strength for the morning. For the morning will come. Brightly will it shine on the brave and true, kindly upon all who suffer for the cause, glorious upon the tombs of heroes. Thus will shine the dawn. Vive la France! Long live also the forward march of the common people in all the lands towards their just and true inheritance, and towards the broader and fuller age. These cruel, wanton, indiscriminate bombings of London are, of course, a part of Hitler’s invasion plans. He hopes, by killing large numbers of civilians, and women and children, that he will terrorise and cow the people of this mighty imperial city ... Little does he know the spirit of the British nation, or the tough fibre of the Londoners. 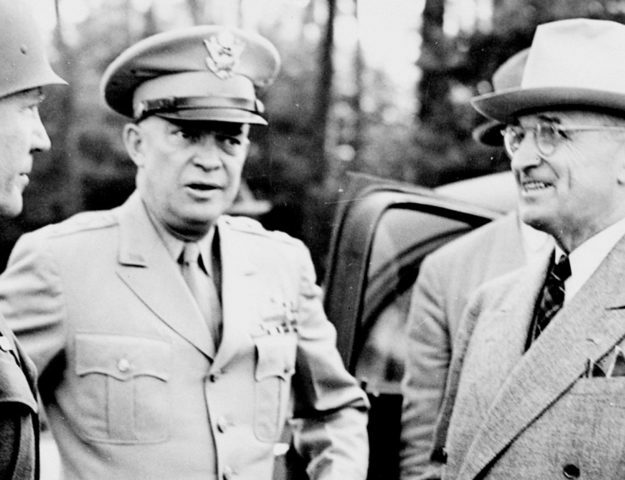 Here is the answer which I will give to President Roosevelt: Put your confidence in us. ... We shall not fail or falter; we shall not weaken or tire. Neither the sudden shock of battle, nor the long-drawn trials of vigilance and exertion will wear us down. Give us the tools and we will finish the job. I must point out ... that the British nation is unique in this respect. They are the only people who like to be told how bad things are, who like to be told the worst, and like to be told that they are very likely to get much worse in the future and must prepare themselves for further reverses. Reference: Speech in the House of Commons, June 10, 1941 "Defence of Crete", in The Churchill War Papers : 1941 (1993), Churchill/Gilbert, Norton, p. 785 ISBN 0393019594. Hitler is a monster of wickedness, insatiable in his lust for blood and plunder. Not content with having all Europe under his heel, or else terrorised into various forms of abject submission, he must now carry his work of butchery and desolation among the vast multitudes of Russia and of Asia. The terrible military machine - which we and the rest of the civilised world so foolishly, so supinely, so insensately allowed the Nazi gangsters to build up year by year from almost nothing - cannot stand idle lest it rust or fall to pieces. ... So now this bloodthirsty guttersnipe must launch his mechanized armies upon new fields of slaughter, pillage and devastation. We ask no favours of the enemy. We seek from them no compunction. On the contrary, if tonight the people of London were asked to cast their votes as to whether a convention should be entered into to stop the bombing of all cities, an overwhelming majority would cry, "No, we will mete out to the Germans the measure, and more than the measure, they have meted out to us." 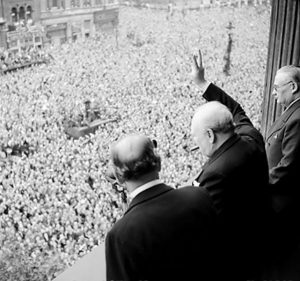 The people of London with one voice would say to Hitler: "You have committed every crime under the sun. Where you have been the least resisted there you have been the most brutal. It was you who began the indiscriminate bombing. We remember Warsaw! In the first few days of the war. We remember Rotterdam. We have been newly reminded of your habits by the hideous massacre in Belgrade. We know too well the bestial assaults you're making upon the Russian people, to whom our hearts go out in their valiant struggle! We will have no truce or parley with you, or the grisly gang who work your wicked will! You do your worst! - and we will do our best! Perhaps it may be our turn soon. Perhaps it may be our turn now." 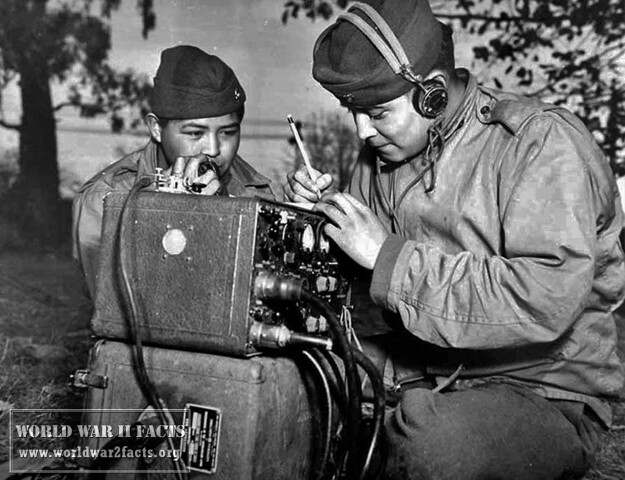 at Montgomery's mobile headquarters in Normandy. Struggle (English edition 187; American edition 182) or in the Complete Speeches VI:6448. Reference: Speech to a joint session of the United States Congress, Washington, D.C. (December 26, 1941); reported in Winston S. Churchill: His Complete Speeches, 1897–1963, ed. Robert Rhodes James (1974), vol. 6, p. 6541. The Congressional Record reports that this speech was followed by "Prolonged applause, the Members of the Senate and their guests rising"; Congressional Record, vol. 87, p. 10119. When I warned them that Britain would fight on alone whatever they did, their generals told their Prime Minister and his divided Cabinet, "In three weeks England will have her neck wrung like a chicken." Some chicken! Some neck! 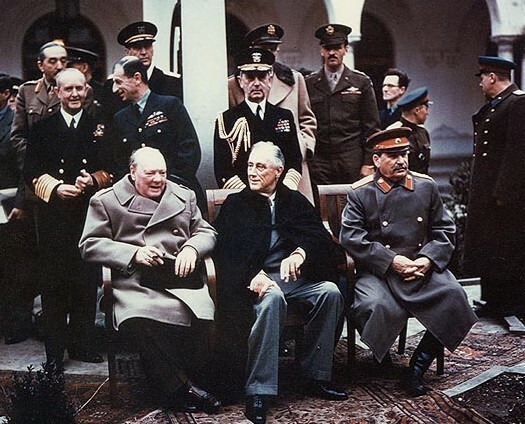 It was an experience of great interest to me to meet Premier Stalin ... It is very fortunate for Russia in her agony to have this great rugged war chief at her head. He is a man of massive outstanding personality, suited to the sombre and stormy times in which his life has been cast; a man of inexhaustible courage and will-power and a man direct and even blunt in speech, which, having been brought up in the House of Commons, I do not mind at all, especially when I have something to say of my own. 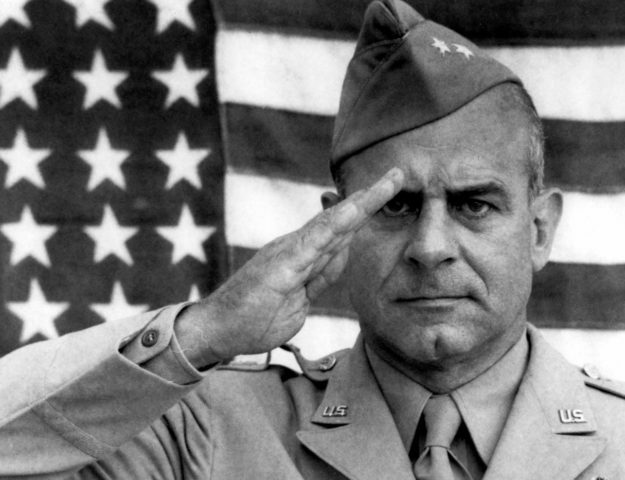 Above all, he is a man with that saving sense of humour which is of high importance to all men and all nations, but particularly to great men and great nations. Stalin also left upon me the impression of a deep, cool wisdom and a complete absence of illusions of any kind. I believe I made him feel that we were good and faithful comrades in this war – but that, after all, is a matter which deeds not words will prove. Reference: Speech in the House of Commons, September 8, 1942 "War Situation". Reference: Speech in the House of Commons, November 11, 1942 Debate on the address. I am sure it would be sensible to restrict as much as possible the work of these gentlemen, who are capable of doing an immense amount of harm with what may very easily degenerate into charlatanry. The tightest hand should be kept over them, and they should not be allowed to quarter themselves in large numbers among Fighting Services at the public expense. English: Yalta summit in February 1945 with (from left to right) Winston Churchill, Franklin Roosevelt and Joseph Stalin. Also present are USSR Foreign Minister Vyacheslav Molotov (far left); Field Marshal Alan Brooke, Admiral of the Fleet Sir Andrew Cunningham, RN, Marshal of the RAF Sir Charles Portal, RAF, (standing behind Churchill); George Marshall, Army Chief of Staff and Fleet Admiral William D. Leahy, USN, (standing behind Roosevelt). throat or at your feet'. The essence of good House of Commons speaking is the conversational style, the facility for quick, informal interruptions and interchanges. Harangues from a rostrum would be a bad substitute for the conversational style in which so much of our business is done. But the conversational style requires a fairly small space, and there should be on great occasions a sense of crowd and urgency. There should be a sense of the importance of much that is said and a sense that great matters are being decided, there and then, by the House. ... It has a collective personality which enjoys the regard of the public, and which imposes itself upon the conduct not only of individual Members but of parties. 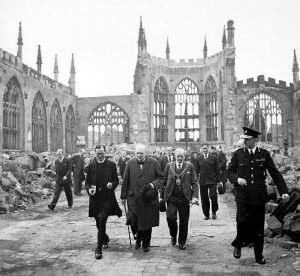 Reference: Speech in the House of Commons, October 28, 1943 "House of Commons Rebuilding". The House of Commons has lifted our affairs above the mechanical sphere into the human sphere. It thrives on criticism, it is perfectly impervious to newspaper abuse or taunts from any quarter, and it is capable of digesting almost anything or almost any body of gentlemen, whatever be the views with which they arrive. There is no situation to which it cannot address itself with vigour and ingenuity. It is the citadel of British liberty; it is the foundation of our laws; its traditions and its privileges are as lively today it broke the arbitrary power of the Crown and substituted that Constitutional Monarchy under which we have enjoyed so many blessings. The object of presenting medals, stars, and ribbons is to give pride and pleasure to those who have deserved them. At the same time a distinction is something which everybody does not possess. If all have it it is of less value ... A medal glitters, but it also casts a shadow. Reference: Speech in the House of Commons, March 22, 1944 "War Decorations". I have left the obvious, essential fact to this point, namely, that it is the Russian Armies who have done the main work in tearing the guts out of the German army. In the air and on the oceans we could maintain our place, but there was no force in the world which could have been called into being, except after several more years, that would have been able to maul and break the German army unless it had been subjected to the terrible slaughter and manhandling that has fallen to it through the strength of the Russian Soviet Armies. Reference: Speech in the House of Commons, August 2, 1944 "War Situation". A love of tradition has never weakened a nation, indeed it has strengthened nations in their hour of peril; but the new view must come, the world must roll forward ... Let us have no fear of the future. Reference: Speech in the House of Commons, November 29, 1944 "Debate on the Address". It seems to me that the moment has come when the question of bombing of German cities simply for the sake of increasing the terror, though under other pretexts, should be reviewed. Reference: Speech in the House of Commons, February 27, 1945 "Crimea Conference"; in The Second World War, Volume VI: Triumph and Tragedy (1954), Chapter XXIII – Yalta: Finale. The Russians will sweep through your country and your people will be liquidated. You are on the verge of annihiliation. 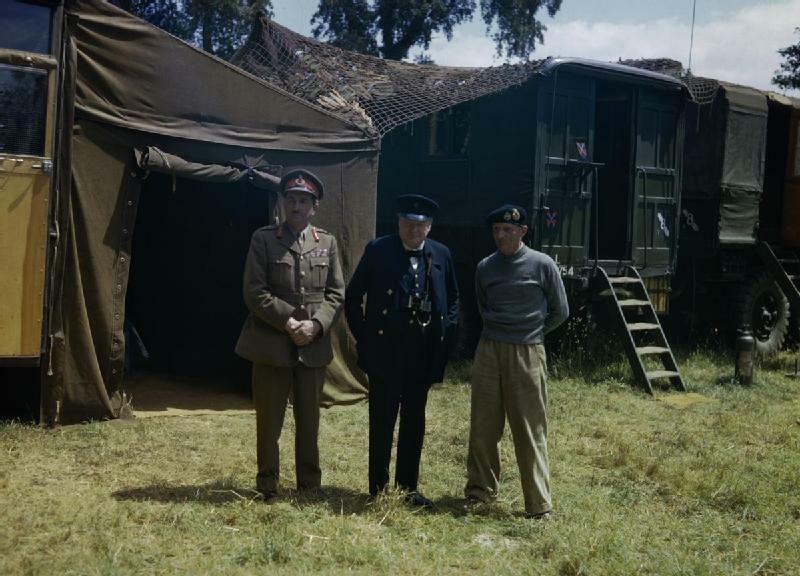 "Churchill and the Great Republic". 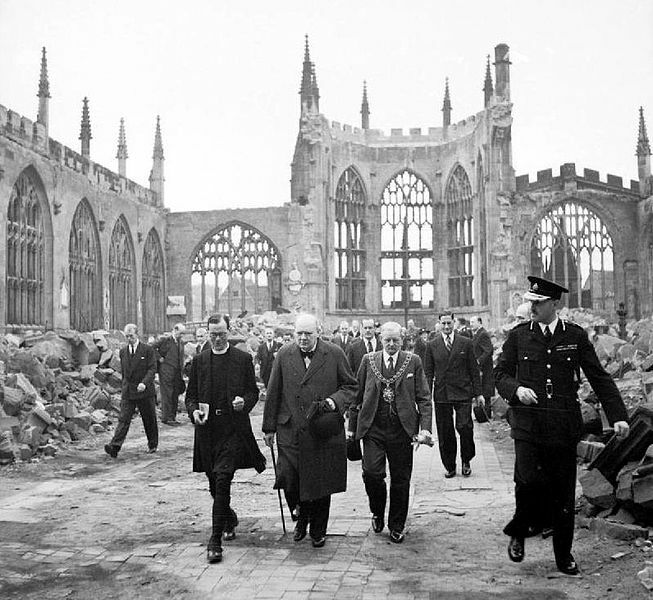 Exhibit Explores Life and Times of Britain's Storied Leader. (NPR), last accessed April 6th, 2013. 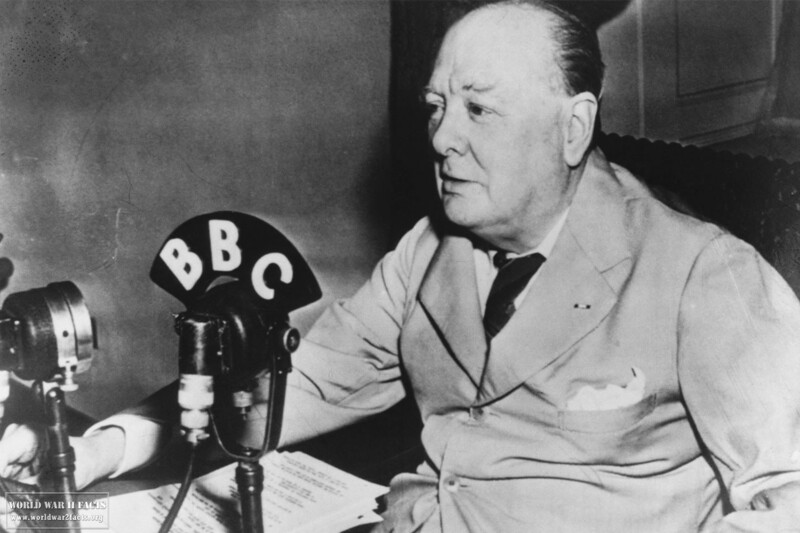 Sir Winston Churchill Wikipedia article, last accessed April 6th, 2013.